We love visual content—in all its forms. 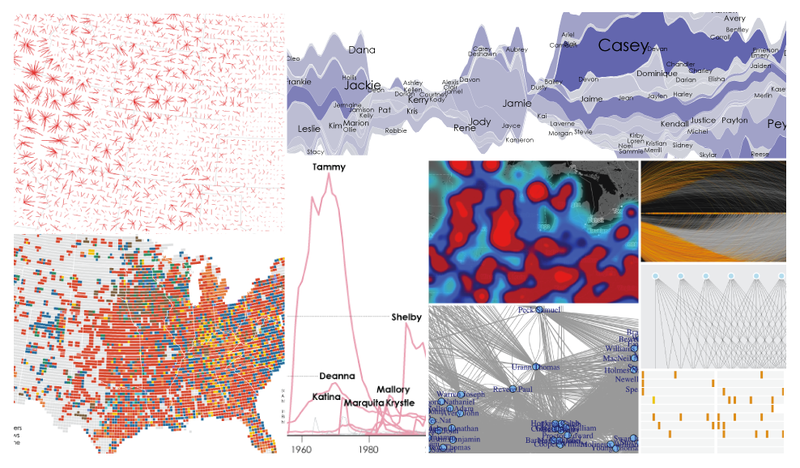 Whether it’s great data visualization or innovative design, we are inspired by work well done. And we believe that good work deserves to be shared. That’s why we showcase our favorite finds from across the web each Friday. 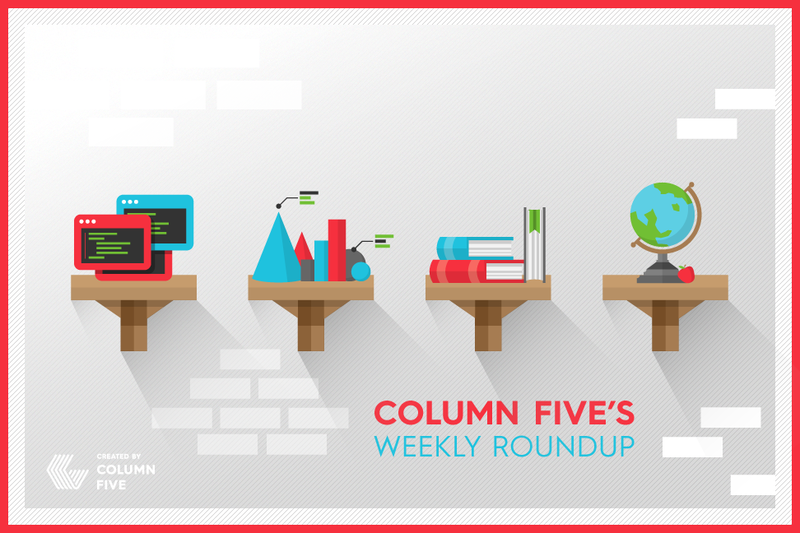 In this weekly roundup: Google’s Music Timeline, Visualizing the Beatles and more. 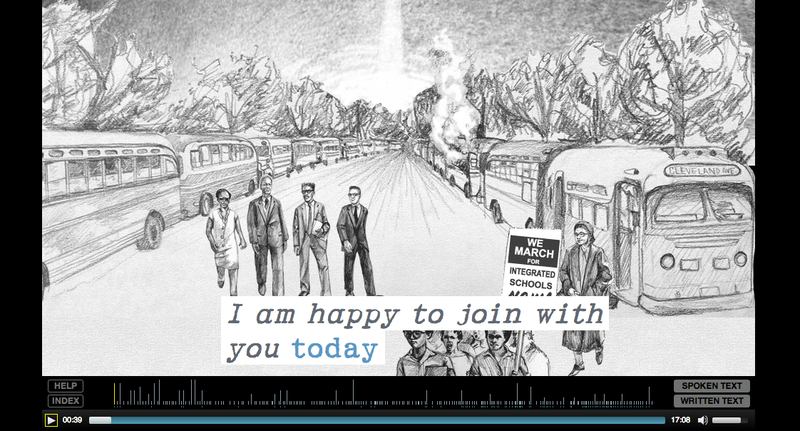 In honor of the 50th anniversary of Martin Luther King, Jr.’s groundbreaking “I Have a Dream” speech, this interactive allows users to explore all aspects of the speech. Check out the written and spoken speech, multimedia images, and learn about the historical context. For Beatles superfans and data geeks, this book is a dream. (Check out the Kickstarter project to help make it a reality.) 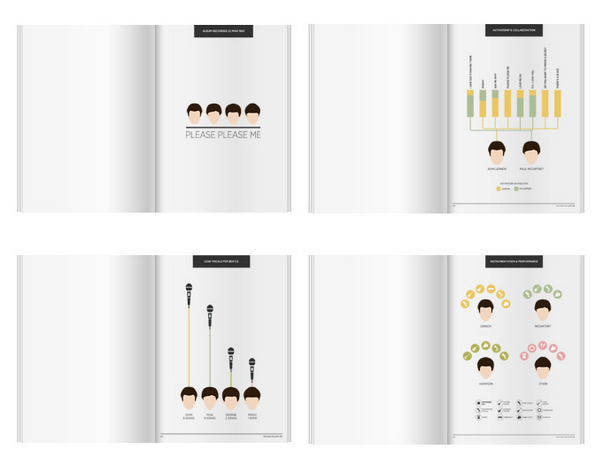 From haircuts to hit singles, Visualizing The Beatles will use infographics to tell the story of The Beatles’ cultural legacy and musical progression over the course of their 13 core releases. Check out the entire post to read his thoughts and see some of the most powerful (and absurd) visualizations of the year. As a company that has been around for more than a 100 years, GE has significant in-house data to play with. 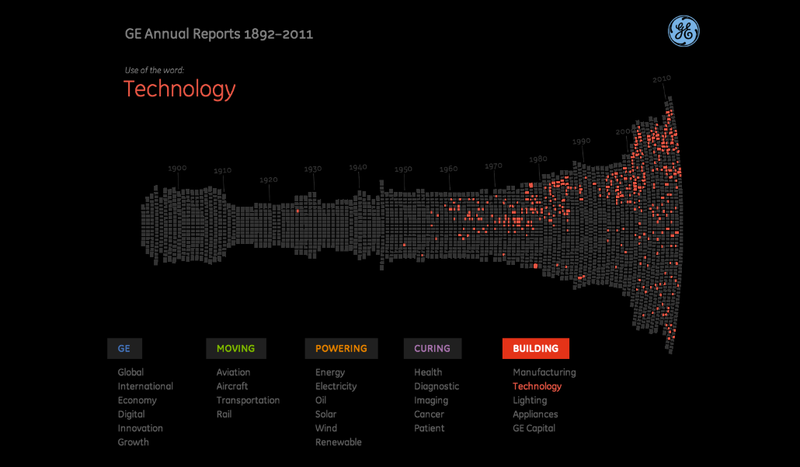 We loved this interactive visualization of the words used in the company’s annual reports over the last century. Even more interesting, you can zoom in to see isolated pages from their archives. LOOKING FOR HELP WITH YOUR BRAND’S STORY? LET’S CHAT.